STEP 1) Boil water in a kettle and pour into a bowl. 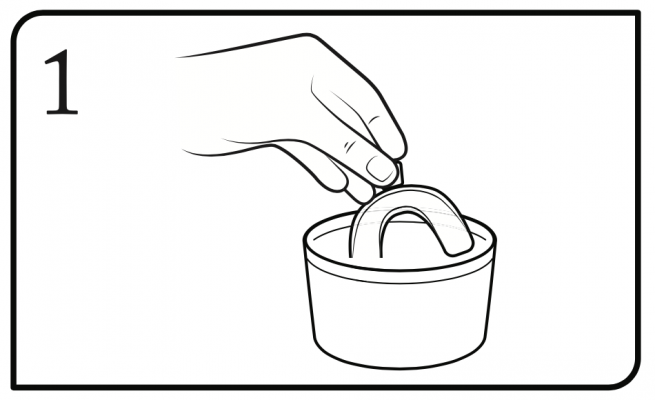 Holding one tray by the tab, submerge it into the water for 3-5 seconds, or until the tray begins to wilt. CAUTION: Submerging the tray for too long will render it unusable. STEP 2) Allow the tray to cool for 1-2 seconds and insert under your upper teeth and bite down. Press the front of your teeth with your fingers and the back of your teeth with your tongue. Run the tray under cold water. The tray should now be perfectly moulded to your teeth. If the tray is not moulded enough repeat steps 1 and 2. 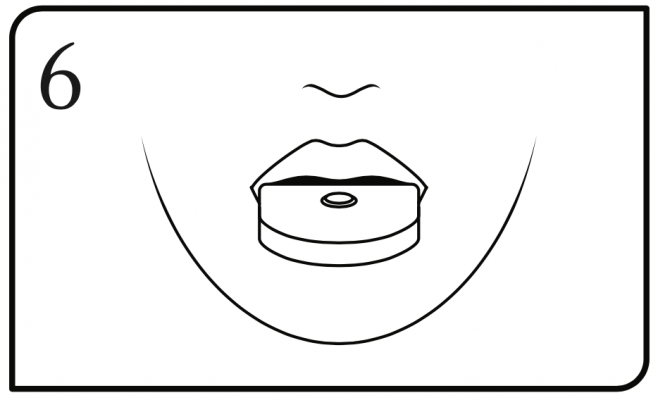 STEP 3) Carefully twist or cut off the mouth tray tab. 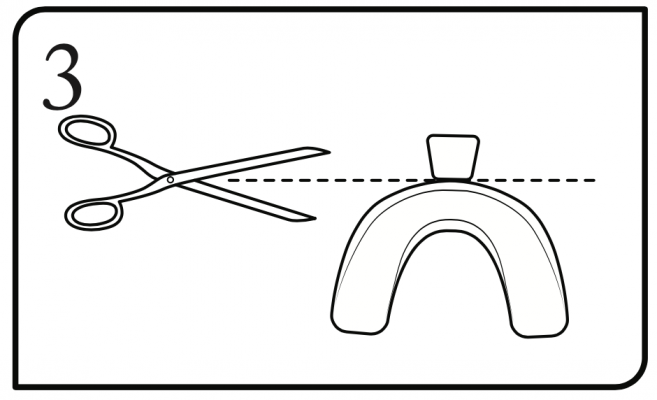 Repeat steps 1-3 with a new mouth tray for your bottom set of teeth. STEP 4) Ensure trays are clean and dry. Apply a small bead of gel in each tooth indentation (clear gel). Do not put too much gel as contact with gums can cause irritation. 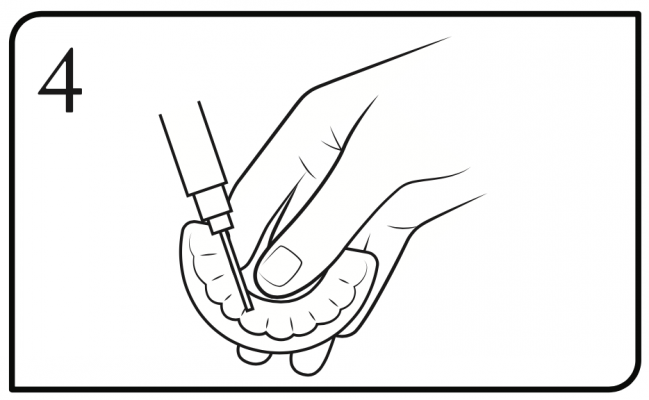 STEP 5) Insert the trays onto the respective teeth and press the sides with your fingers to spread the gel evenly over your teeth. STEP 6) Open the back of the LED light and remove the batteries and transparent plastic tab that is between the batteries. Discard tab, re-insert batteries and press the top button to turn the light on. Place the LED light over the top of the trays for the entire duration. Wear the trays for 40-60 minutes. Initially use once per day for the first 7 days and then use every 2 to 4 weeks, or as needed to maintain the colour you are looking for. If you experience sensitivity after whitening use desensitising gel for 30 minutes (blue gel) – light not required.